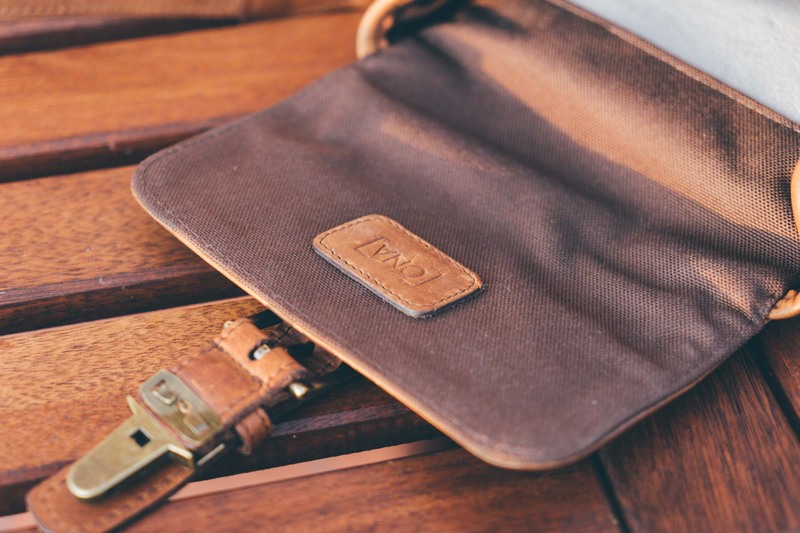 ONA’s latest creation isn’t a bag for travel or work. It’s a bag for life. I used to think great camera bags should allow you to comfortably carry enough of your gear to be able to shoot in a wide range of situations. For me, that usually means one camera and at least two or three lenses, plus some spare batteries, filters, and maybe even a flash. The problem is a bag that can hold all of that is going to be too big and heavy for everyday use no matter how hard you try. And trust me, I’ve tried. A lot. Bags like that excel when used occasionally, but they tend to be a poor solution if what you’re really after is an everyday bag. I know this because no matter how much I love mine, I always find myself leaving them behind — and my camera with them — unless I know for a fact I’m going out for some specific photography-related activity. Lately I’ve come to realize that’s not acceptable. At this point, I think I’ve tried enough medium-sized camera bags to know they don’t work for me as everyday bags. Don’t get me wrong, I still love them for what they are and use them frequently, but I’ve given up entirely on the idea of taking them with me on a regular basis just in case a spontaneous photo opportunity presents itself. It’s just not happening. 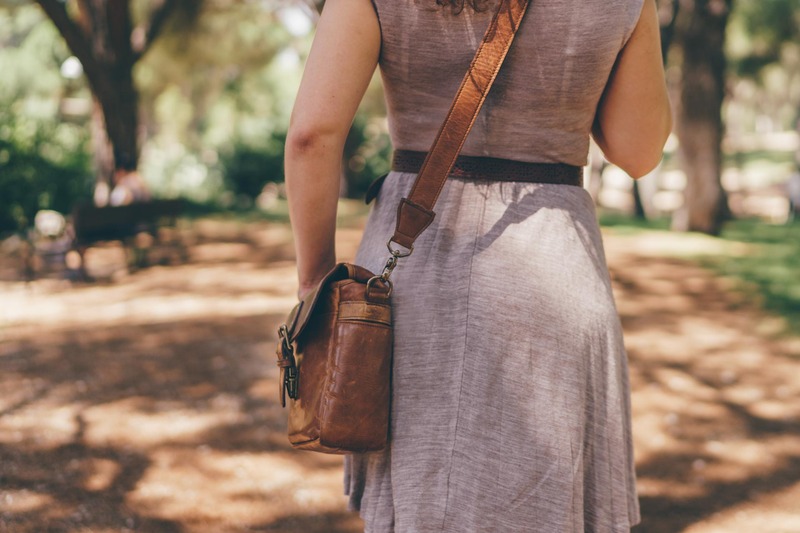 What I really want — dare I even say need — is not a great bag, but a great everyday bag. 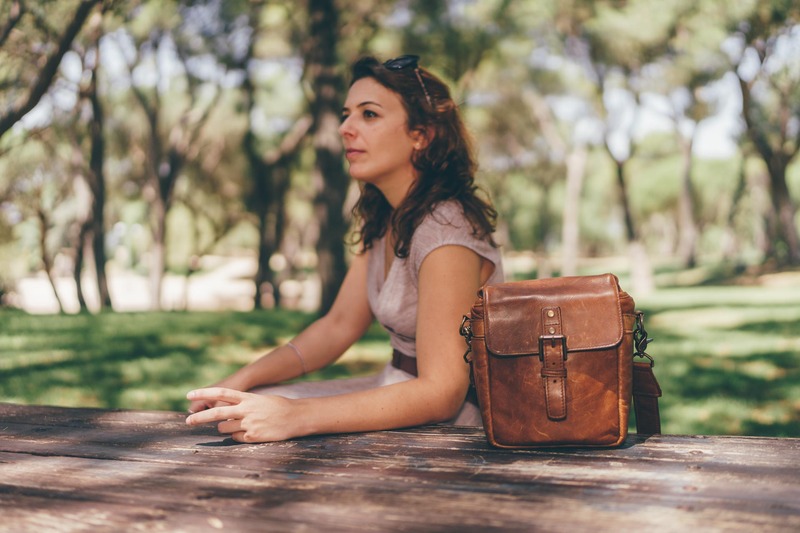 I want a bag I can have with me at all times — one I can pick up in the morning without giving a second thought and put down at night without feeling sore. One that’s always with me by default. Which brings me to the Bond Street. 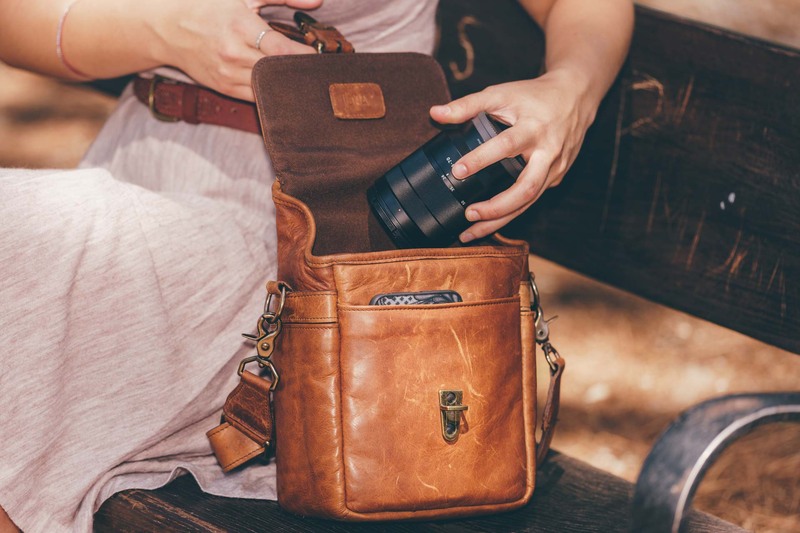 This is the latest addition to ONA’s growing collection of stylish camera bags and also their smallest bag yet. 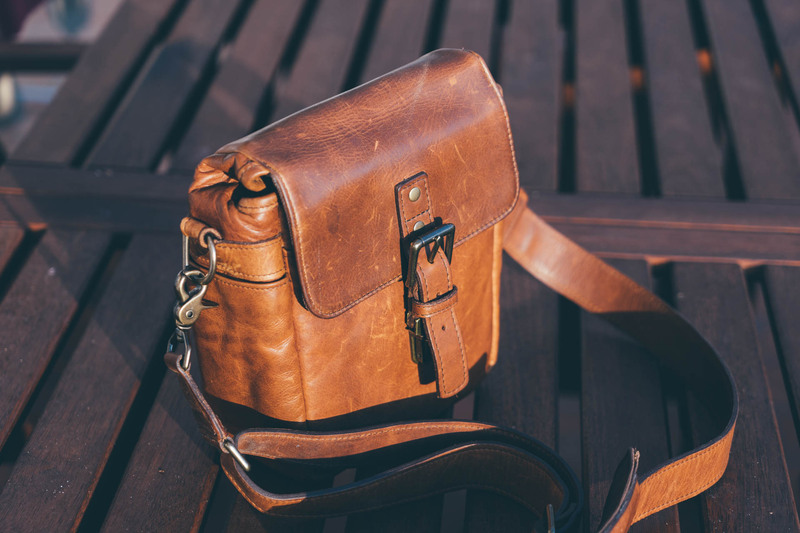 The leather Bond Street camera bag by ONA. The Bond Street offers the same build quality and features of the Bowery — one of T&T’s favorite everyday bags — in a slightly more compact form factor. It won’t hold a full-frame camera with three lenses, but it doesn’t need to. There are many other excellent bags for that. Instead, the sole mission of the Bond Street is to become the ultimate everyday bag for those of us who don’t like to leave the house without our cameras. This sounds like an ambitious goal, but does the Bond Street have what it takes to pull it off? Let’s take a closer look and find out. As of this writing, the Bond Street comes in six different styles. Three of them are made of canvas (Smoke, Black, and Field Tan), while the other three (Black, Dark truffle, and Antique Cognac) are made of full-grain Italian leather. The Bond Street comes in six styles, all of which are classic and beautiful. Pictured: Antique Cognac leather. All these models are beautiful. But there are some notable differences between them, one of which is weight. 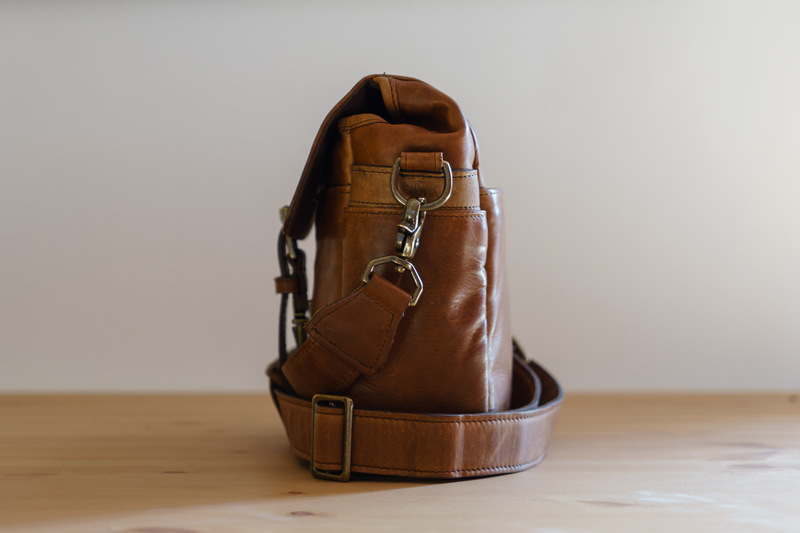 Leather is a heavy material, and its usage definitely impacts the overall weight of the bag. As such, the canvas models are noticeably lighter, coming in at 1.4 lbs. The leather models, however, are slightly heavier at 1.7 lbs. Considering the small overall size of the bag, this kind of weight difference is far from being a deal breaker. Especially when the leather is this good. 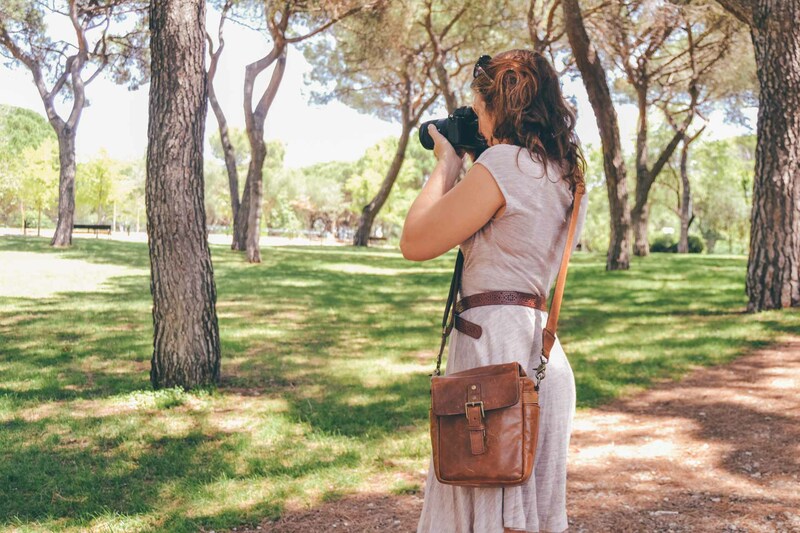 The leather BondStreet camera bag by ONA. Another big difference is, of course, price. The leather Bond Street retails for $219, a full $90 over the price of the canvas models. I personally believe the leather models are worth the premium and are the ones to get, but I readily admit that $90 is a pretty big gap. And so I’m going to steer budget-conscious buyers towards the canvas models without hesitation. 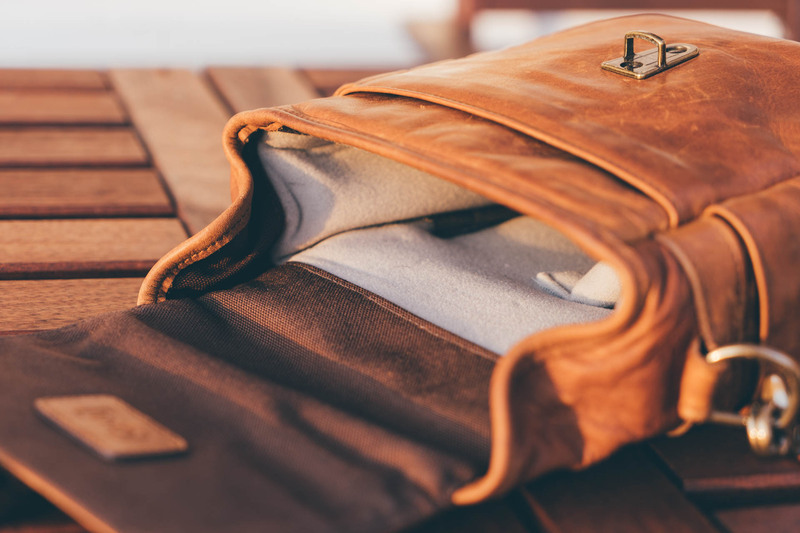 If that’s your case, the good news is you’ll still be getting a top-quality, stylish, incredibly well-made bag with full-grain leather accents, so it’s not like you’ll be settling for an inferior product. All BondStreet models share the same features and design, except for a few small variations. As a side comment, none of these bags are weatherproof and a rain cover is not included, so be sure to keep that in mind before heading out the door. 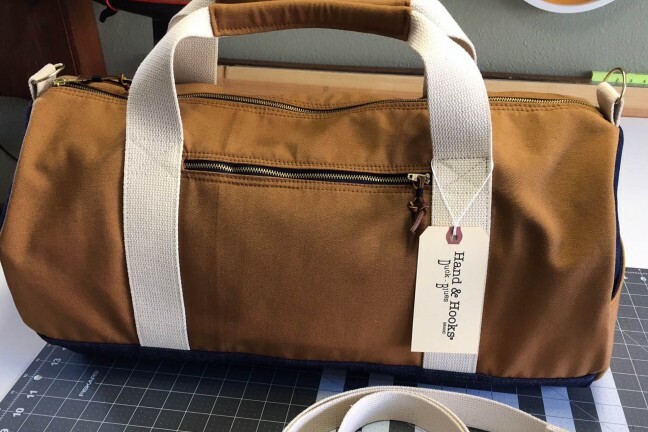 All bags have side flaps that are supposed to help protect the interior against water seeping in but, at least in the leather models, these flaps don’t appear very functional because the material is too thick for them to effectively fold shut. That being said, if you can get by with a moderate amount of water resistance, the canvas models should handle rain slightly better than the leather models. Other than these admittedly small differences, every Bond Street bag is pretty much identical: same size, same layout, same carrying capabilities. Therefore, while the remainder of this review will focus specifically on the leather Bond Street, most of what follows applies to any of the other models as well. 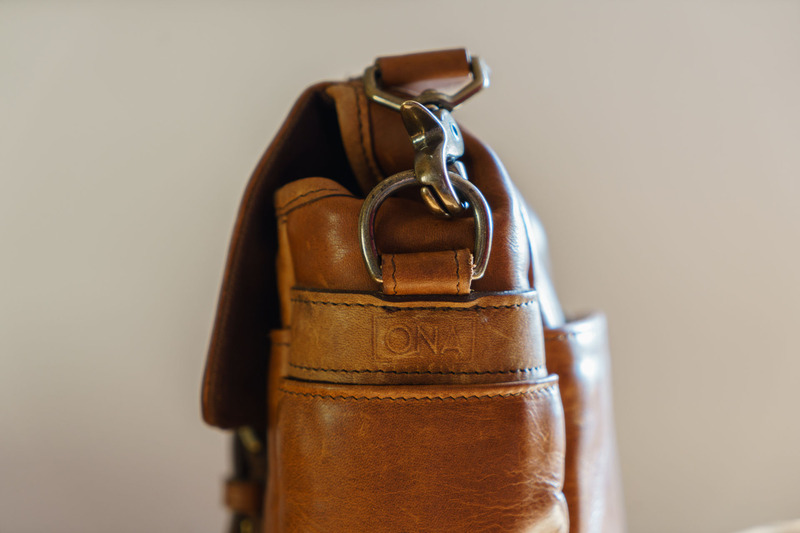 The leather Bond Street maintains the same high quality standards that ONA is known for. 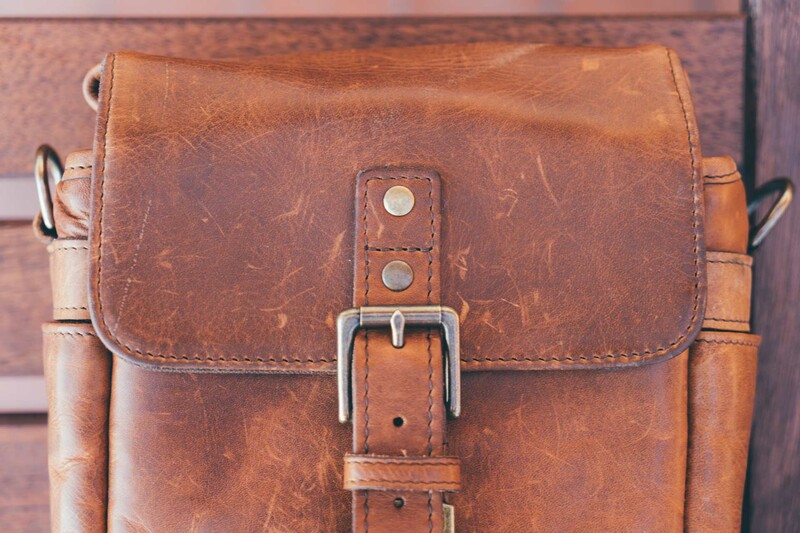 Everything about this bag screams quality: the thickness of the rich leather, the brass hardware, the details. ONA assembles these by hand and it shows. 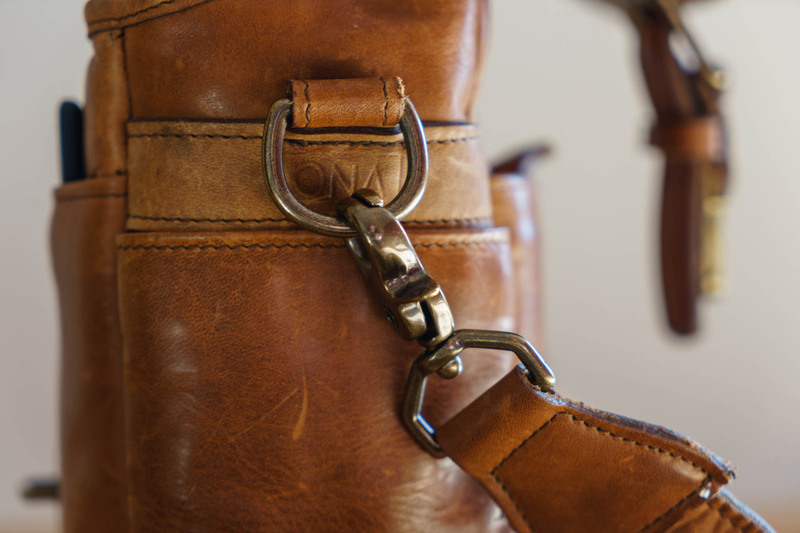 The shade of leather is unique to each bag, and develops a rich patina over time. The Bond Street is made by hand, so there may occasionally be some inconsistencies, like fraying on the stitching, for example. These don’t compromise the durability of the bag, however. Like the other leather bags ONA makes, the handcrafted nature of the Bond Street also shows in the form of slight variations in the shade of the leather across different units, as well as small imperfections that make each bag unique. 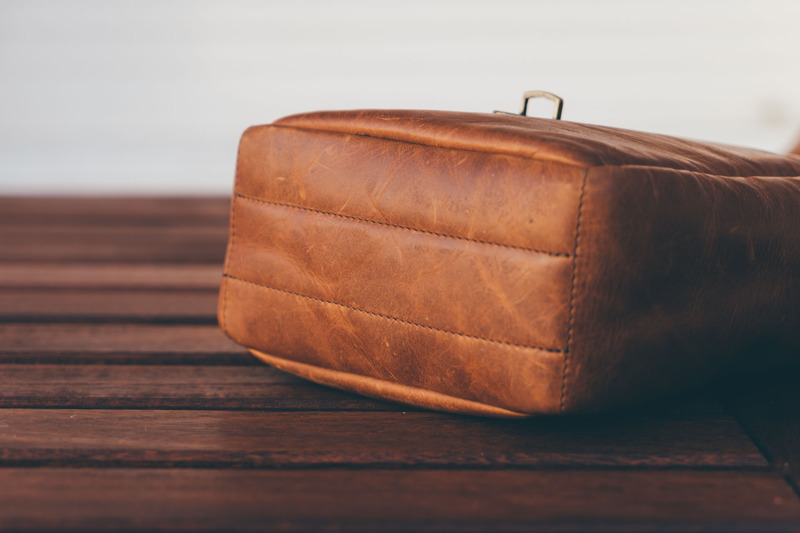 This bag wasn’t designed to look perfectly immaculate out of the box, but to gain character over time. The leather develops a beautiful patina and “scars” with every little scratch, making the Bond Street more beautiful and unique as these scars evolve. That’s one of my favorite things about leather items in general, and in that sense this bag doesn’t disappoint. The ONA logo is found on a leather patch on the inside of the bag’s flap cover. 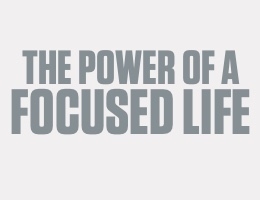 Other than that, branding is extremely minimal. As for durability, the Bond Street is a bag you could easily hand down to your grandchildren as a family heirloom. 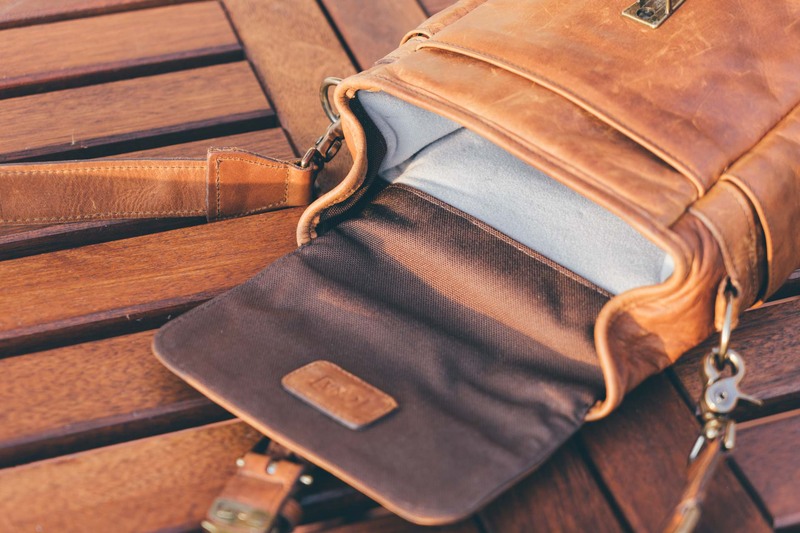 Just like the quality handcrafted items of old, this is a bag built to withstand the test of time. The quality of the brass clips, as well as the rest of the hardware, is impressive. 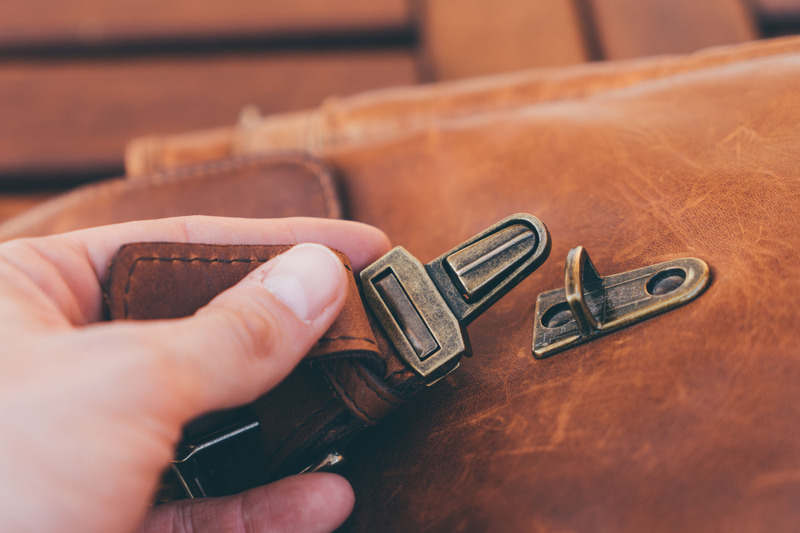 Of course, like all quality leather items, the Bond Street will require some care and maintenance in order to stay beautiful through the decades. Just apply some conditioner once a year or so, keep it away from the rain, and enjoy. 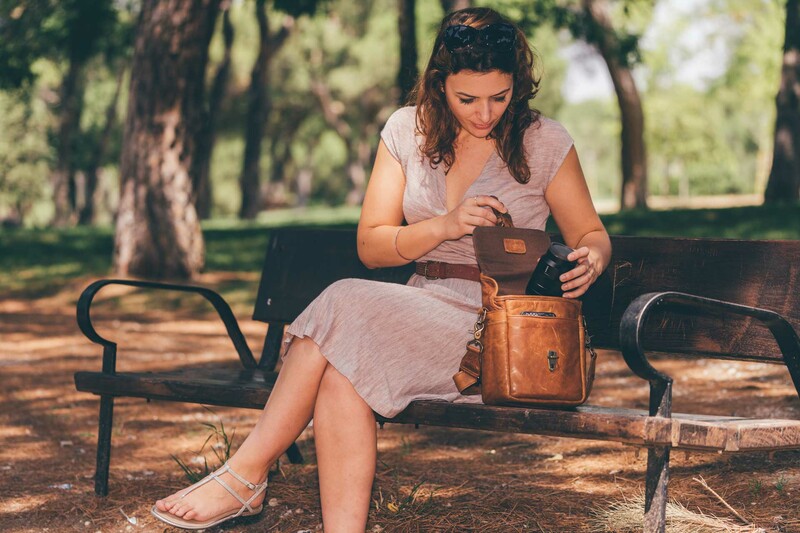 The Bond Street is the smallest camera bag ONA makes. 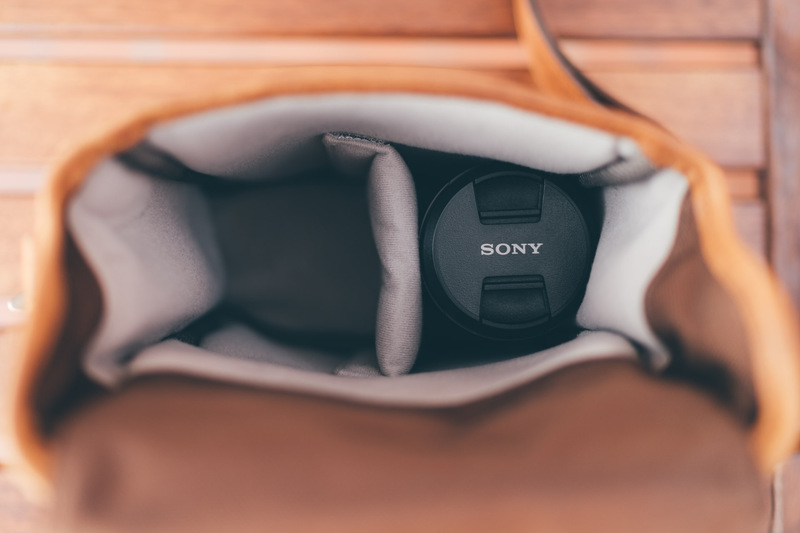 In fact, it doubles as a camera insert: Simply remove the shoulder strap and you have a nice insert that can be used to safely carry your camera gear inside a bigger bag, like a suitcase or a backpack. 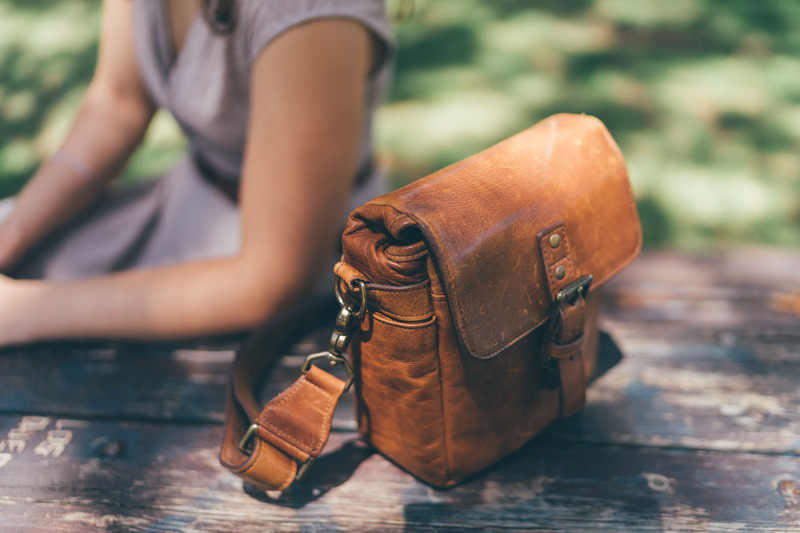 The shoulder strap can be detached and the bag doubles as an insert that can be used with a bigger bag. 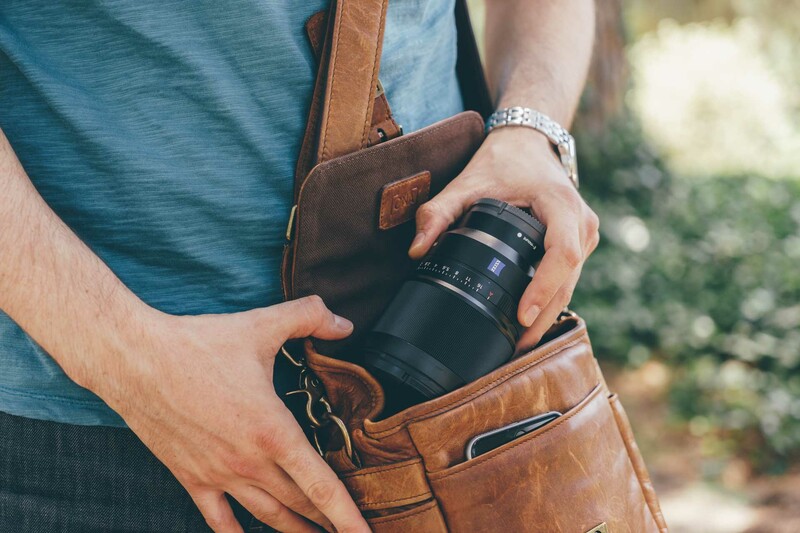 Designed with mirrorless systems in mind, this bag offers enough space to fit a camera with a lens attached and one or two extra lenses depending on your system of choice. Of course, Full Frame and DSLR shooters may struggle to fit as much kit inside, so be sure to keep that in mind. 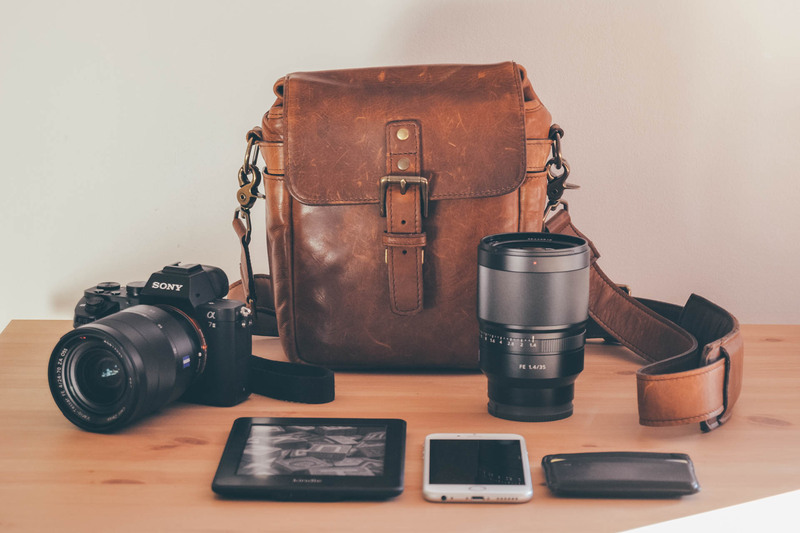 Depending on your camera system of choice, you should be able to carry a camera and one or two extra lenses, or a number of personal items. What makes the Bond Street so appealing for me personally is that it is sized perfectly for everyday life. 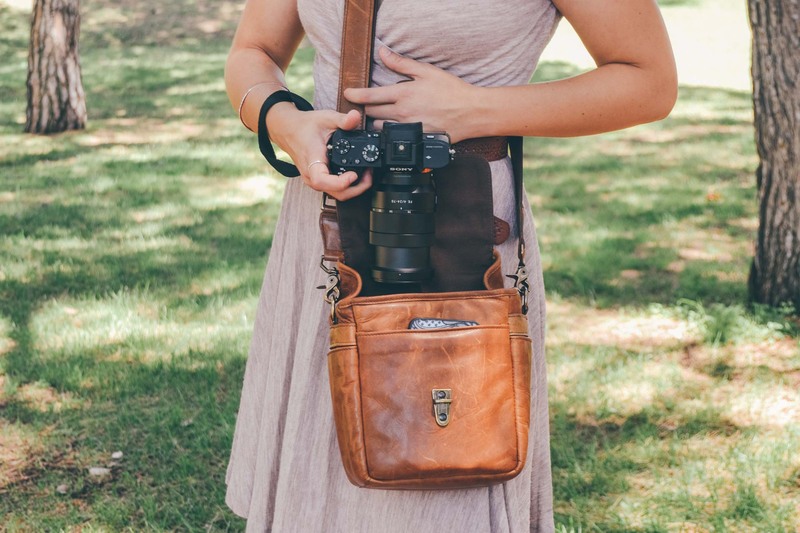 I like having my camera with me at all times, and this bag makes that possible while adding minimal bulk. 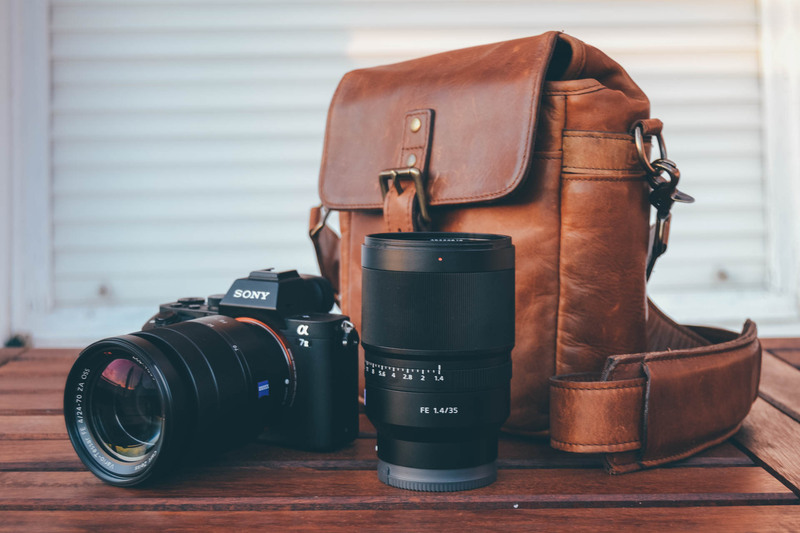 If you’re used to carrying a one camera, one lens setup on a daily basis, then there should be enough spare room in the bag to fit the rest of your personal items. 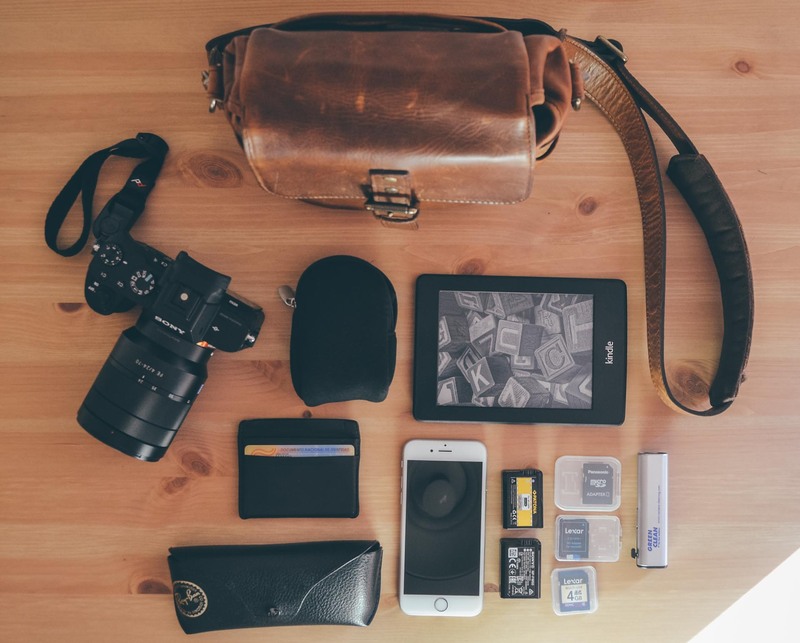 Items like a set of sunglasses, a wallet, a cell phone, or a Kindle should fit alongside your camera kit. For me, this bag hits the absolute sweet spot between carrying capacity and convenience; it’s not big enough so as to become too heavy, but it’s still able to hold all the stuff I need to have with me at all times. Kind of like my very own goldilocks camera bag, if you will. The Bond Street hits the absolute sweet spot between carrying capacity and convenience. The exterior layout of the Bond Street is quite minimal: You get a sleeve pocket with extremely subtle ONA branding at each side, and a zippered sleeve compartment in the back. That’s it. The exterior layout of the Bond Street is quite simple and branding is extremely subtle. The back zippered pocket is useful to carry documents or small items but it doesn’t offer much convenience beyond that. You can’t even fit a Blu-Ray disc case in it, for example — not that you’d ever want to, of course. To be fair, that pocket is a great place to store your wallet and passport when traveling, which is good enough for me. 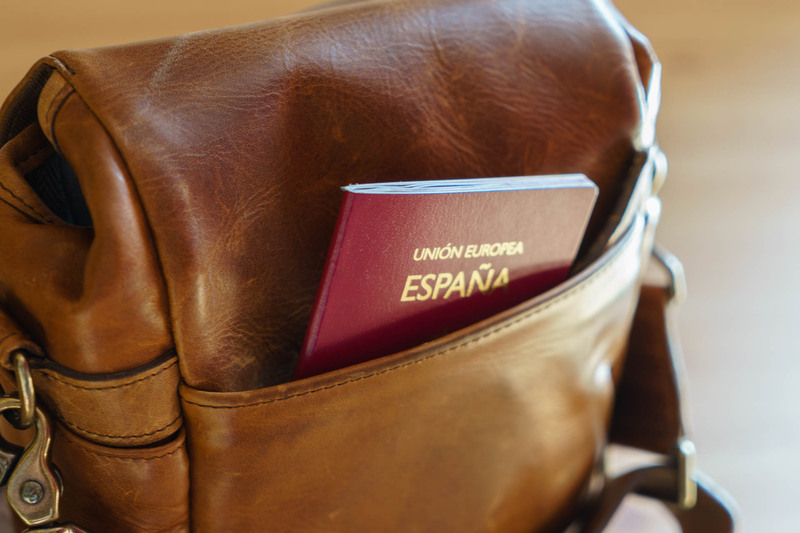 The zippered pocket in the back offers moderate capacity, but is a great place to store your wallet and passport. As for the side pockets, I have a feeling the sole reason they exist is for the sake of maintaining a certain degree of consistency with the rest of the ONA collection. It feels as if the bag’s designers added them in at the last minute just because they could, but they don’t serve any practical purpose at all. These pockets are so tight and their openings are so narrow that you can’t fit much of anything in there. They’re just big enough to fit a regular iPhone 7 or a similarly sized smartphone, but forget about the 7 Plus. 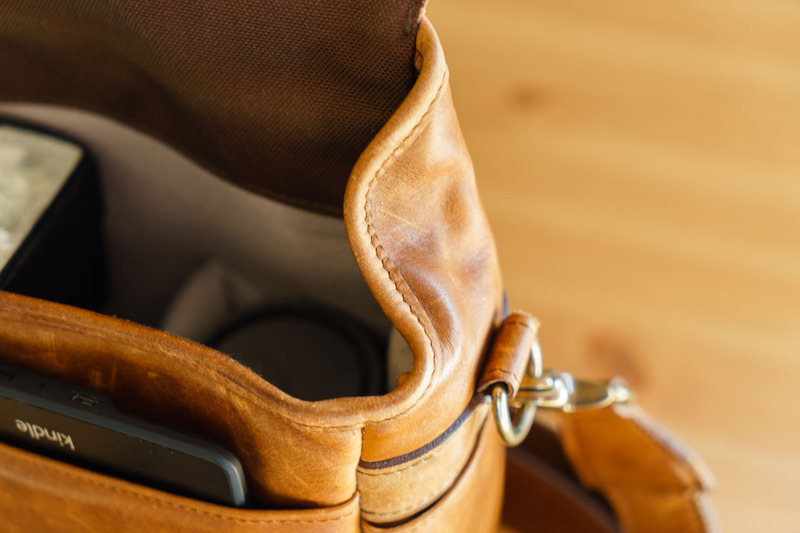 In any case, I wouldn’t recommend storing your smartphone — or anything valuable — in those sleeve pockets. 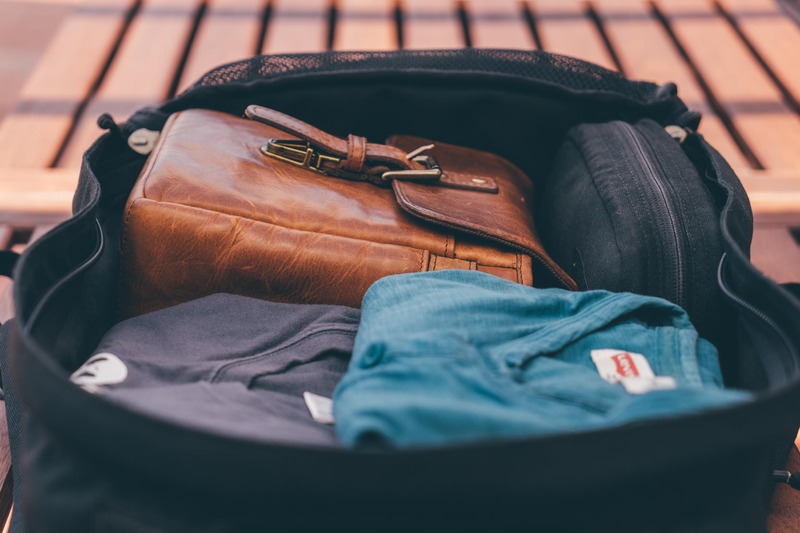 They are a relatively easy target for pickpockets, which means you should probably store those items in one of the inner compartments instead. The side pockets are too tight and just big enough to hold a regular-sized iPhone, although I wouldn’t recommend doing this. Speaking of inner compartments, once you open the flap cover you get access to all two of them. There’s a sleeve pocket on the front of the bag that’s big enough to hold a Kindle, but not an iPad (mini or otherwise). I use this pocket to carry my iPhone when I don’t want to keep it in my jeans’ pocket. I also use it to carry my wallet and earphones occasionally. 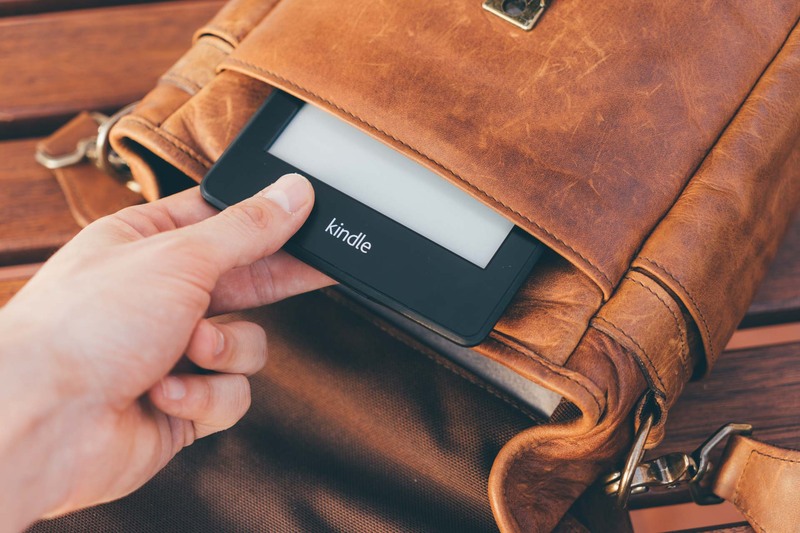 The front sleeve pocket is big enough to hold a Kindle. Moving beyond that front sleeve pocket, the interior of the Bond Street is basically a large padded compartment. 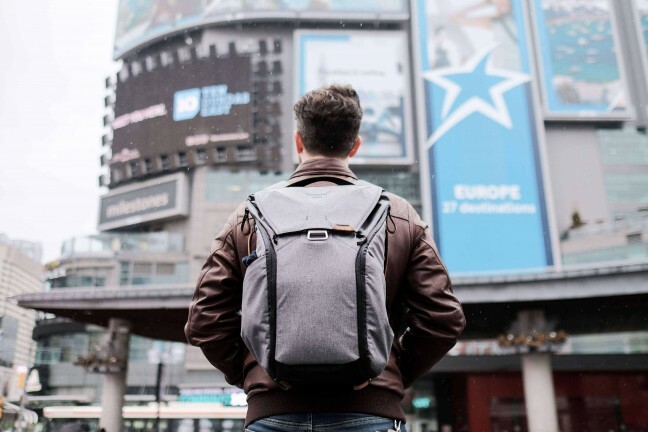 ONA supplies a single padded divider with the bag, so you can use it at your discretion to arrange the main compartment in your preferred configuration. Personally, I find using the divider to create a two-compartment layout works best for my usage. This way I can keep my camera with an attached lens in one and either carry a second lens or some other stuff in the other one. Simple and effective. The bag’s main compartment can be arranged in two smaller compartments using the supplied padded divider. It sounds like I’m coming down hard on the bag’s limited carrying capabilities but this is actually my favorite thing about the bag. I love that, even when it’s fully packed with gear, it still remains light enough to be carried all day without causing any discomfort. Bigger bags are nice to have when you need to carry all your stuff with you, but the Bond Street is not that kind of bag at all. Instead, it’s the kind of bag you can always have with you no matter what. It is, simply put, the very definition of an everyday bag. 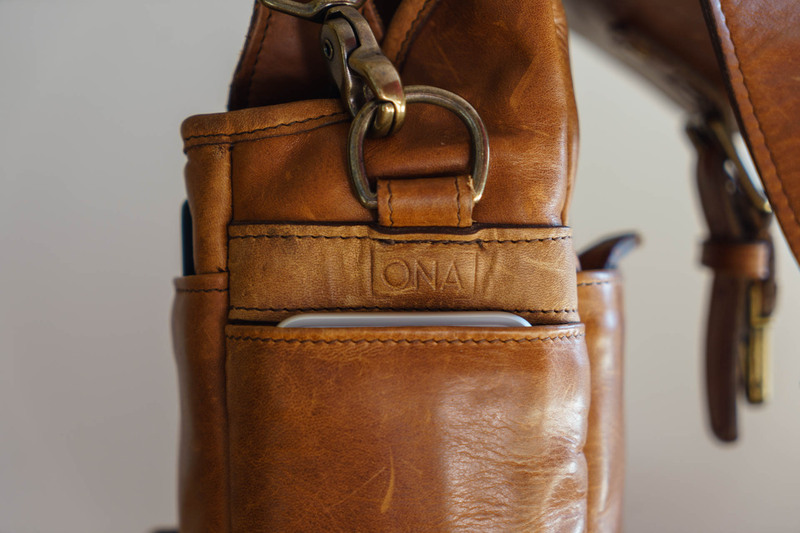 The problem with ONA bags in general, and leather ONA bags in particular, is they are not subtle. Instead, their classic design and high-end materials often act as a magnet for curious eyes. That’s great when you want to stand out from a crowd, but not so much when you’re trying to be inconspicuous. Photographers often try to avoid drawing any unnecessary attention towards themselves, and for good reason. It’s not just in order to be able to more easily capture candid scenes (although that’s also important). It’s because a modern photographer’s kit usually costs in the thousands of dollars range, and thieves know it. 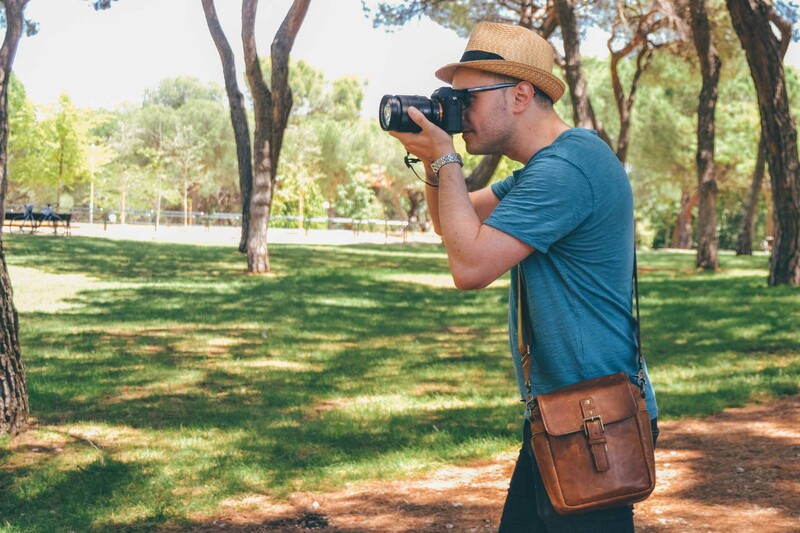 If you’re in a shady area, the minute you’re clearly identified as a photographer, you become a potential target. That’s no fun. The leather Bond Street looks like an expensive bag, which can be a problem if you’re trying to be inconspicuous. 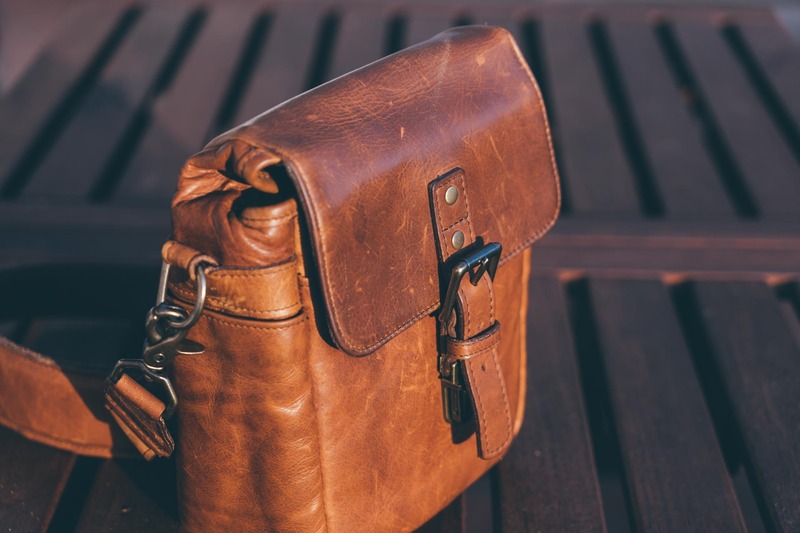 For the most part, the leather Bond Street manages to be discreet and understated enough due to its modest size, the fact it doesn’t look like a camera bag, and because it doesn’t have any bright colors. However, it does look like an expensive bag, and sometimes that’s all it takes. 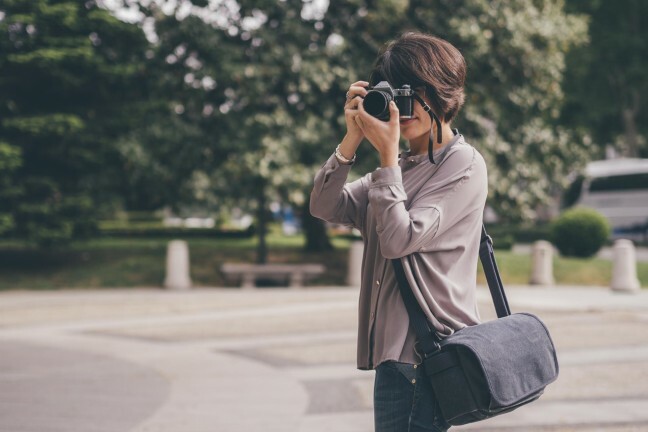 The leather Bond Street is a gorgeous-looking bag, and one of the most stylish camera bags in its class. 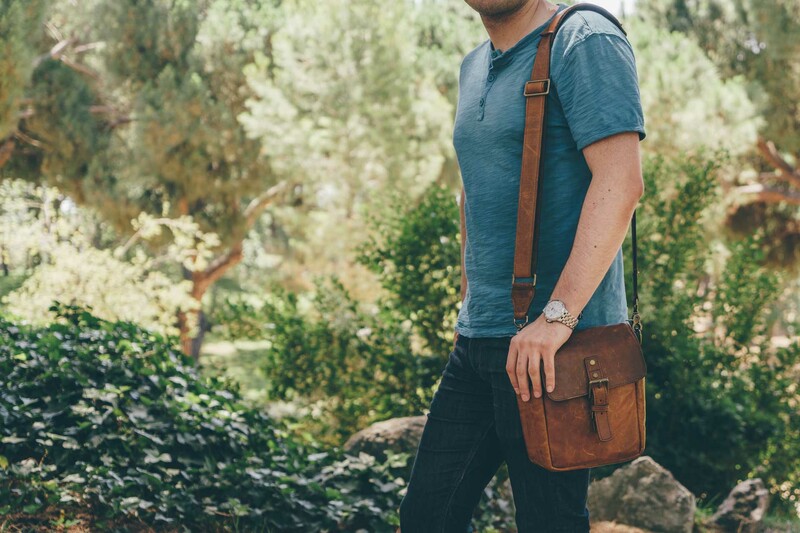 With a classic, streamlined look, this bag is every bit as functional as it is beautiful. The ONA Bond Street’s small size and conservative looks both add to its versatility. The bag’s small size and conservative looks both add to its versatility. It looks just as good whether you’re wearing a pair of jeans with a T-shirt or a nice suit. 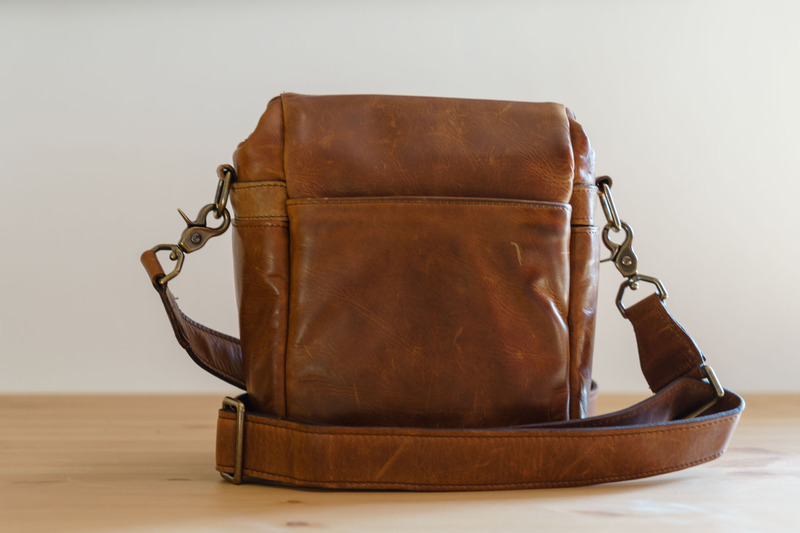 It also looks great whether you’re a man or a woman, which is something quite rare for a camera bag. The Bond Street looks great whether you’re a man or a woman, something quite rare for a camera bag. One of my favorite things about the leather Bond Street is it looks like a regular old leather bag. Not just because it’s more discreet, but because I happen to really like old leather bags. The Bond Street doesn’t look at all like a camera bag, which is a great thing in my book. Another great thing about the Bond Street is the shoulder strap. 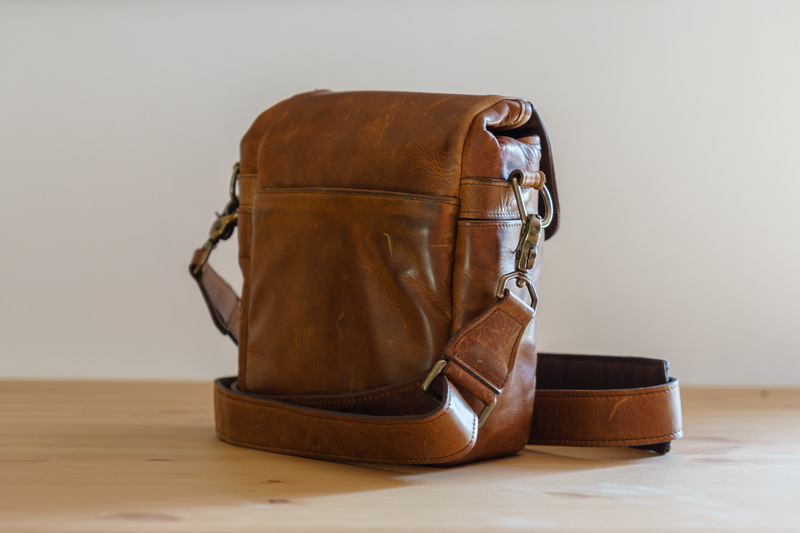 It’s similar to the one that comes with the leather Bowery and, unlike the one in the leather Brixton, it can be detached from the bag by unclipping the clasps at each end. The shoulder strap that comes with the Bond Street can be detached from the bag by unclipping the clasps at each end. 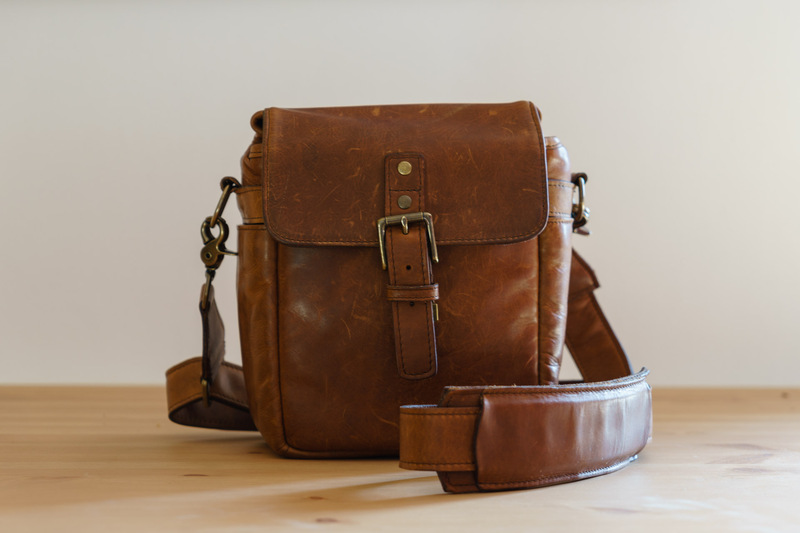 The shoulder pad is also identical to the one on other leather ONA bags. It isn’t the most padded shoulder pad in the world, but it’ll get the job done. After all, the Bond Street is small enough that you won’t need a ton of padding anyway. The shoulder pad is padded enough to support the bag’s relatively light weight. 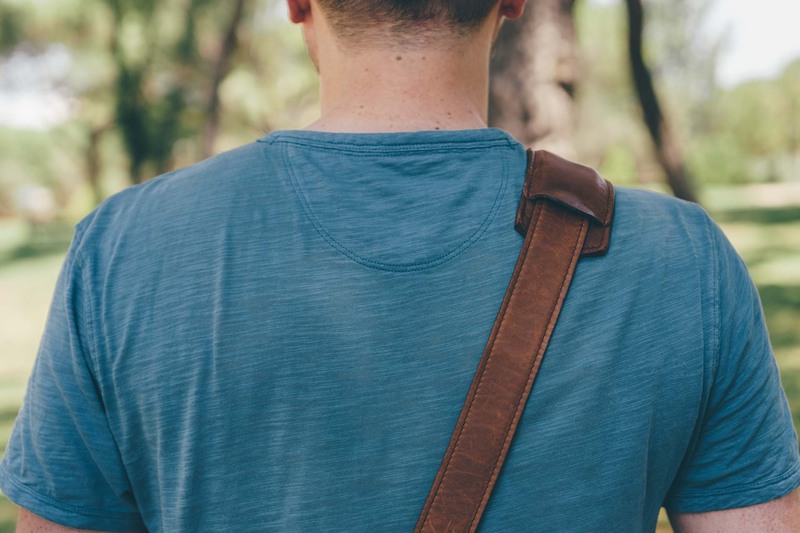 What makes this shoulder strap superior to the one in the leather Brixton is the fact you can choose which way the adjustment ring goes: front or back. This means you can always ensure the shoulder pad stays in the right position regardless of how tall you are. My problem with the Brixton’s strap is that it’s too long for my height, and that results in the shoulder pad falling too far behind my back when I adjust the strap to its proper length. This problem could be solved by simply adding a second ring on the other side of the shoulder pad but, for reasons that escape me, ONA hasn’t done this yet. The beauty of having a detachable strap is that, using the adjustment ring, you can set it to your desired length while ensuring the shoulder pad stays in the right position. 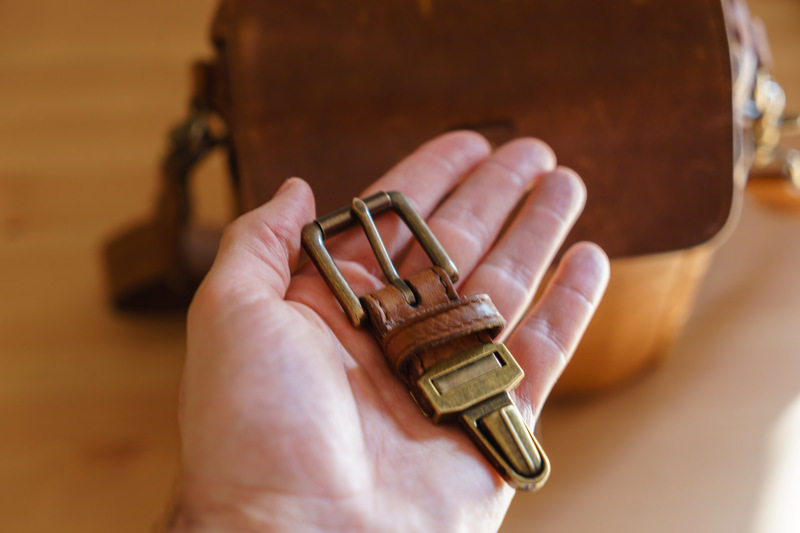 The main flap cover that secures access to the main compartment is held closed by an adjustable leather strap with a brass buckle, although this buckle is more decorative than functional. 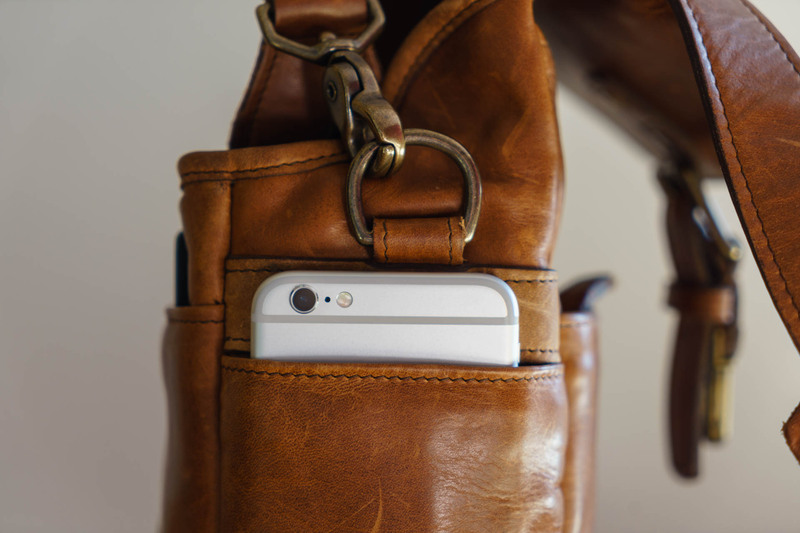 Beneath it, there is a hidden brass clip that provides quick and convenient access to the bag’s interior. 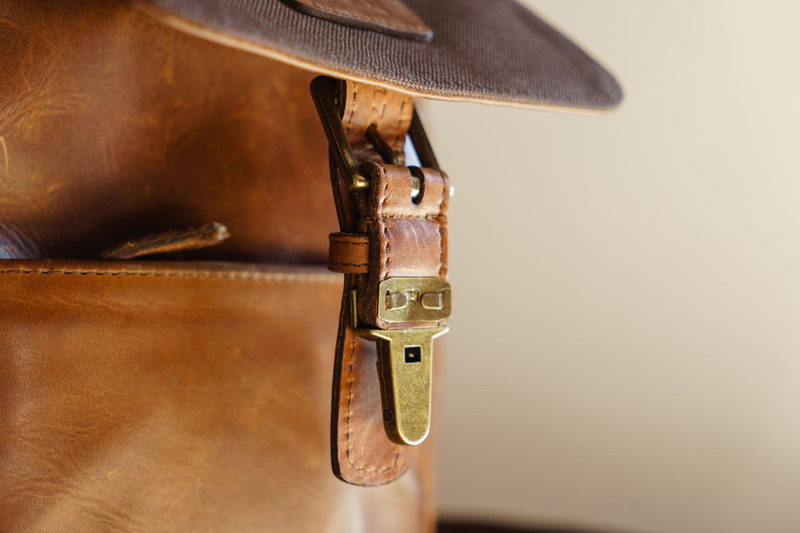 The front flap cover is held closed by an adjustable leather strap with a brass buckle. 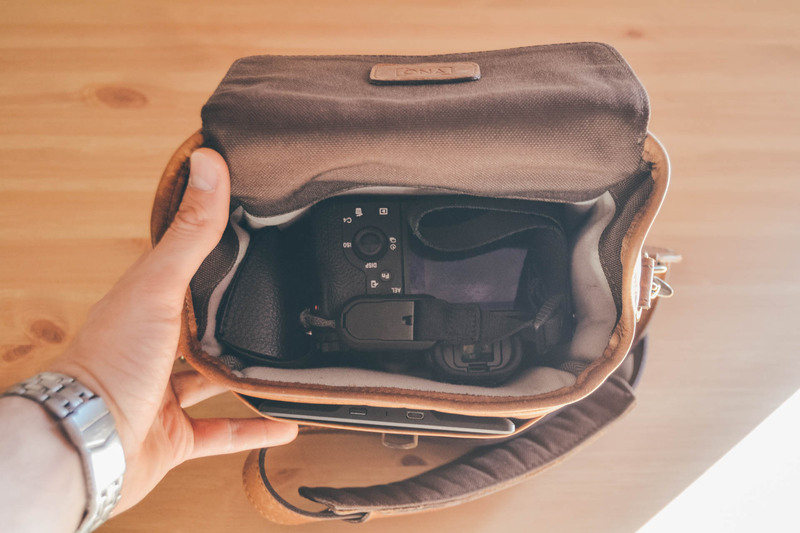 Like with the rest of the ONA bags, some people have complained this clip is quite noisy when walking around with it undone in order to keep the main compartment accessible. I can see why it would be annoying for some people, but this hasn’t been my experience at all. 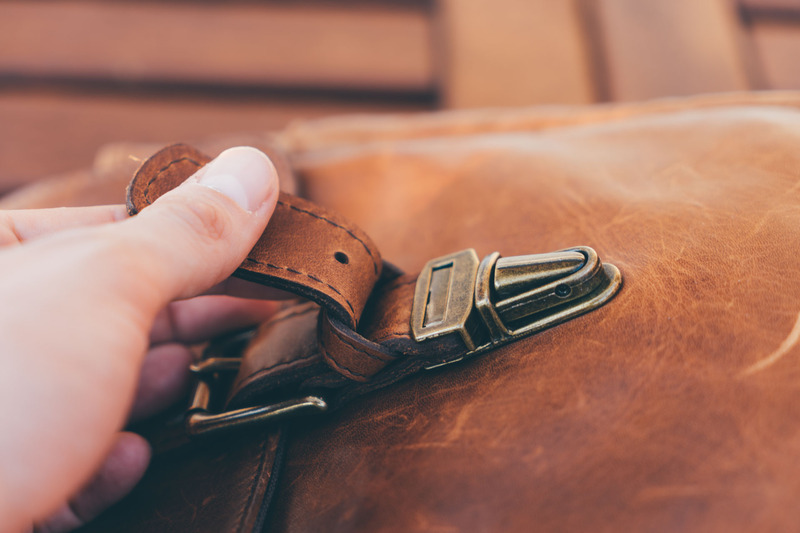 If you really hate it when your bag makes clacking sounds, you can always undo the buckle and just use the leather strap to manually open and close the bag. This will be a lot slower though, and it may result in a lost clip if you’re not careful because it doesn’t lock in place very securely. Unfortunately, the clip doesn’t lock very securely, and has a tendency to fall off if the strap isn’t fastened to the buckle. At the end of the day, despite some minor issues, the leather Bond Street is an absolute pleasure to use. It’s small and light, and it’s super classy. If you want a versatile everyday bag that can get the job done and look great at the same time, you really can’t do better than this. 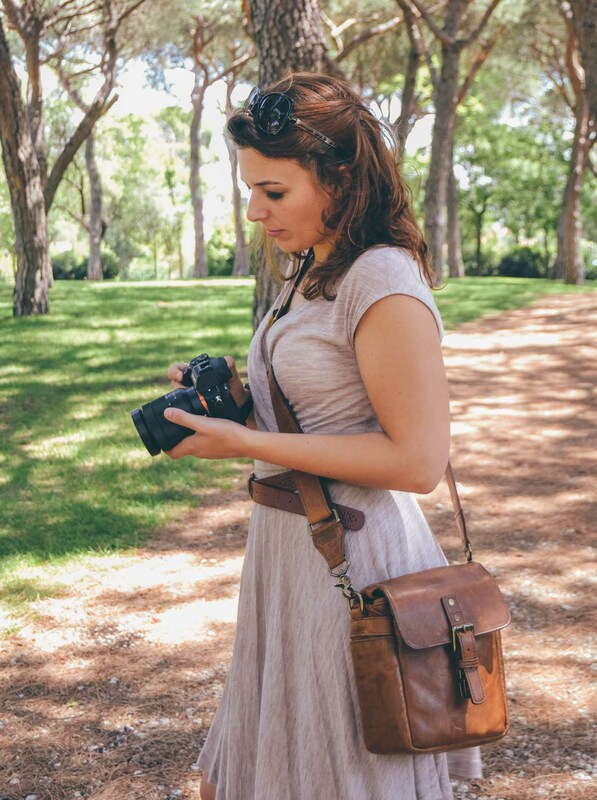 However, if you’re a professional photographer, you may be thinking this bag isn’t for you. 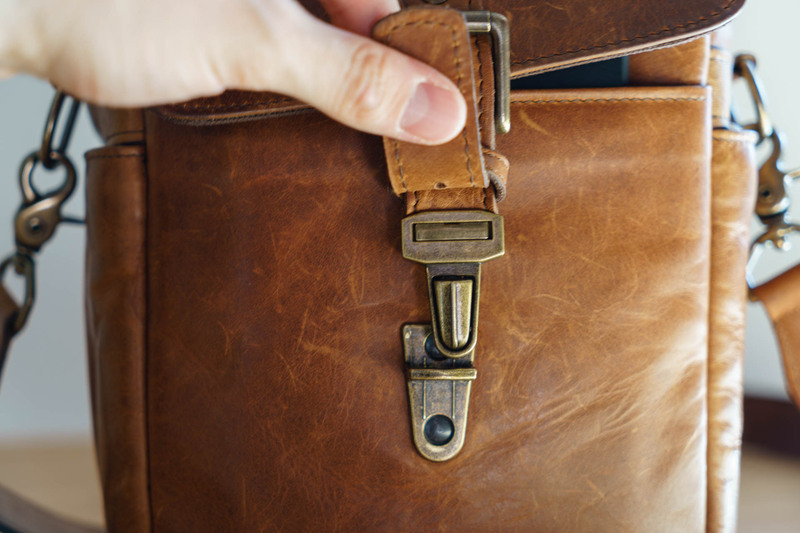 It’s true, the leather Bond Street is not the type of bag you’re likely to take with you on a professional shoot. No matter how hard you try, there’s just not enough room in the bag to fit everything a professional photographer needs. Instead, the leather Bond Street is clearly aimed at the casual photographer. The kind that only takes one or two lenses and is happy to work with whatever is at hand at any given moment. The kind that enjoys long photo walks without being dragged down by a 10-pound bag. The kind that’s always on the lookout for interesting scenes, ready to press the shutter release at any moment. That may sound unambitious, but here’s the thing: Even if you’re a world-class professional photographer, we’re all still casual photographers the vast majority of our time. And that’s when life happens. The Bond Street is not a bag for work — it’s a bag for life. The leather Bond Street currently retails for $219, and that price isn’t likely to go down at any point in the foreseeable future. If anything, the historic trend points to it going up, as the cost of acquiring the source materials rises with demand. 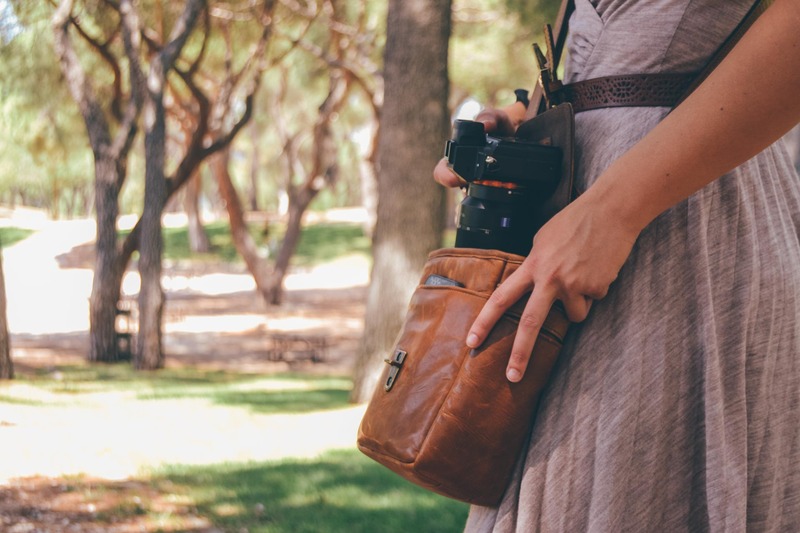 For many people, spending that kind of money on a camera bag will never make sense. And that’s OK. 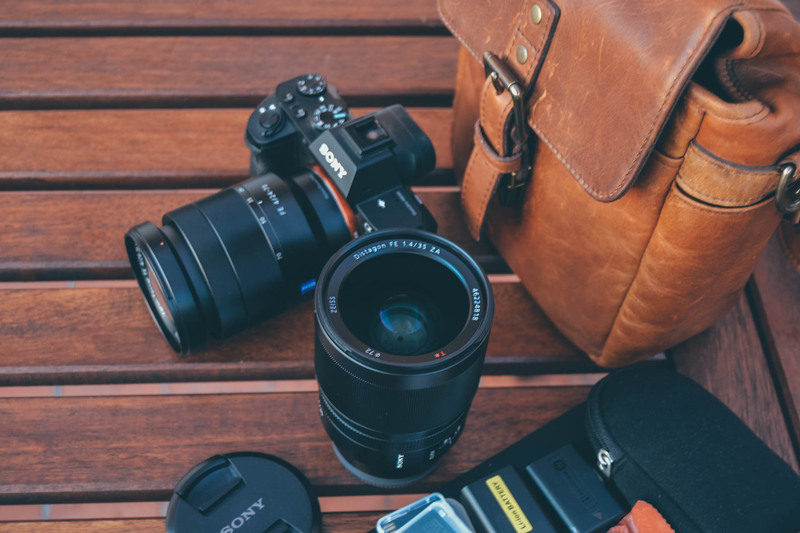 If you’re just getting started into photography, for example, you’ll probably be much better off spending money on lenses or photography lessons instead of buying a fancy camera bag. At the end of the day, it’s what’s inside the bag that counts. The Bond Street isn’t something you need. If you’re approaching it that way, you’ll probably reach the conclusion that other brands offer more features for less money. Which is absolutely correct. Why, then, would anyone buy this bag? I’m afraid I can’t speak for everyone else, but in my case, it was a matter of appreciating the thought and care that went into making this bag. Even though this clearly wasn’t something I needed, it still fills me with joy every time I pick it up. I’m not going to sit here and tell you that the leather Bond Street is a better buy than, say, the Think Tank Retrospective 5 because, well, it isn’t true. There’s just no way around it. 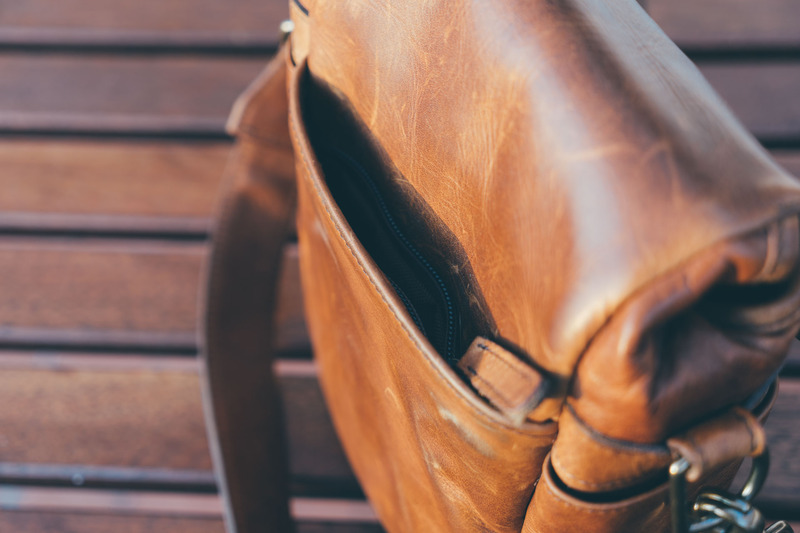 If cost is a big factor in your decision, there’s a good chance this bag won’t be a good fit for your needs. The leather Bond Street is what you could call attainable luxury. These are not items you need, but they make life much more enjoyable. If that’s worth the price of admission for you, well, only you can say. Of course, if you like everything about the leather Bond Street but still can’t afford to pay that much, you can save a bit of money by picking up one of the canvas models instead. As of this review’s publication, the canvas models are retailing for $129. If you have a constrained budget, these are clearly the smarter buy. The Bond Street will not make sense for everyone, but if you appreciate quality and craftsmanship, you really can’t do better than this. Use more secure clips. This has been a non-issue for me, but if the clips had a tighter fit, the risk of losing them would be lower, and those who like to keep the flap open while carrying the bag would certainly appreciate it. Not a deal-breaker by any means, but probably worth looking into. Make it more weatherproof. Leather will never be the most water-resistant of materials, so I’m not going to ask ONA to break the laws of physics. Instead, it would have been nice if they’d just added a simple rain cover for those occasions when the occasional downpour catches you off-guard. Bring the price down. ONA tends to charge a hefty premium for the leather versions of their bags, and the Bond Street is no exception. $219 is steep for a bag of this size, no matter how nicely built it is. Improve the side pockets. The ONA designers get points for good intentions here, but execution is terrible. 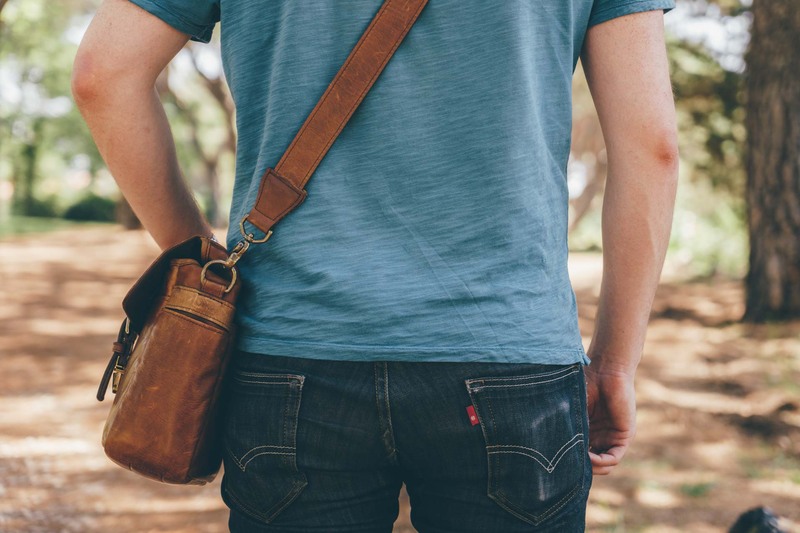 In their current incarnation, these pockets have no reason to exist. Either make them actually useful or remove them entirely. 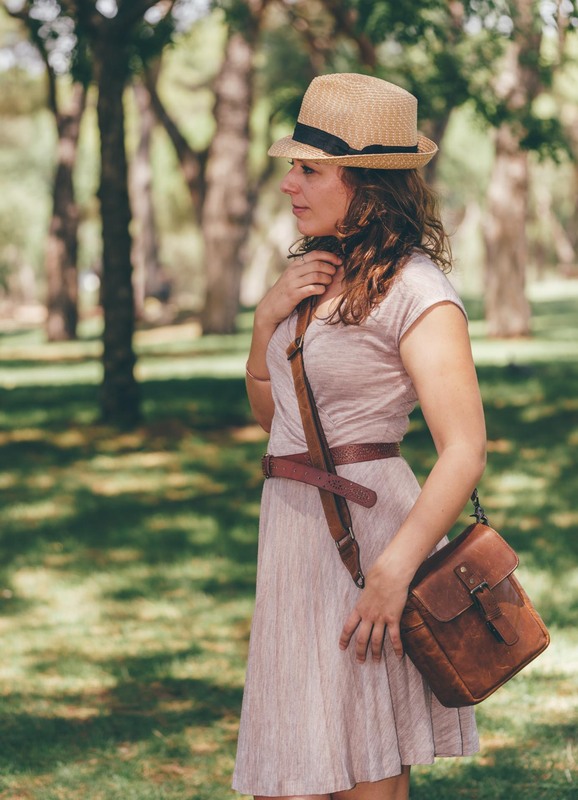 Add a second adjustment ring to the shoulder strap. The ONA shoulder straps are always the biggest source of frustration for me. That being said, the one that comes with the Bond Street is the nicest one yet, and I have no problems with it in actual use. Still, it would be nice to have another adjustment ring so the length of the strap could be adjusted at both ends of the shoulder pad. That would be really helpful for people who, like me, often ride a bicycle and need to tighten the strap in order to keep the bag from swinging sideways. 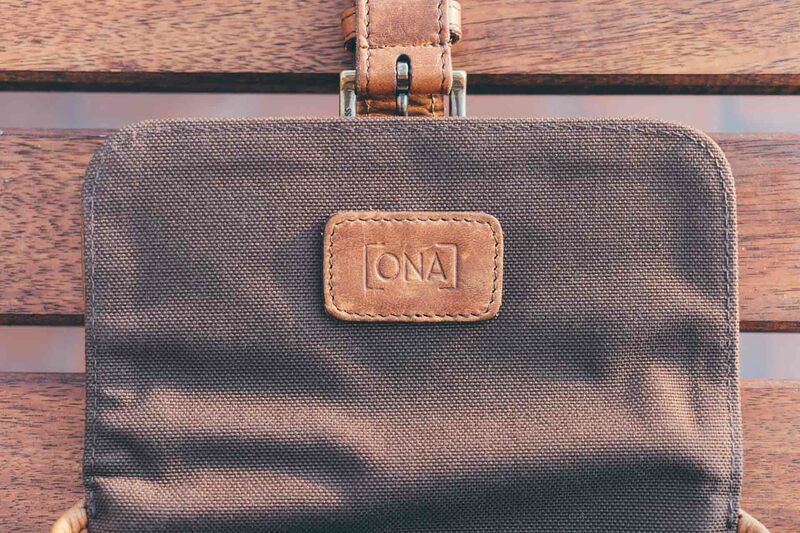 No matter how you look at it, it seems like ONA just doesn’t know how to make a boring camera bag. It’s not a knockout win but, as long as your expectations are reasonable, the leather Bond Street is hard to beat in almost every single way. In the few months I’ve owned it, this bag has quickly become my constant companion. I hardly ever leave the house without it. In fact, even though I sometimes go out without my camera, I still take the Bond Street because it’s just a terrific everyday bag, period. That just hasn’t happened with any other camera bag I’ve ever owned. It may just be because of its size, or because I’m a sucker for leather bags. Perhaps I’m still in the honeymoon phase and I’ll eventually grow tired of it, or maybe I’ll find another bag that’s even better for me. But I doubt it. At some level, I know this is the bag I’ve been waiting for. It may not be the perfect bag, but it is the right bag for me. And that’s all that matters. 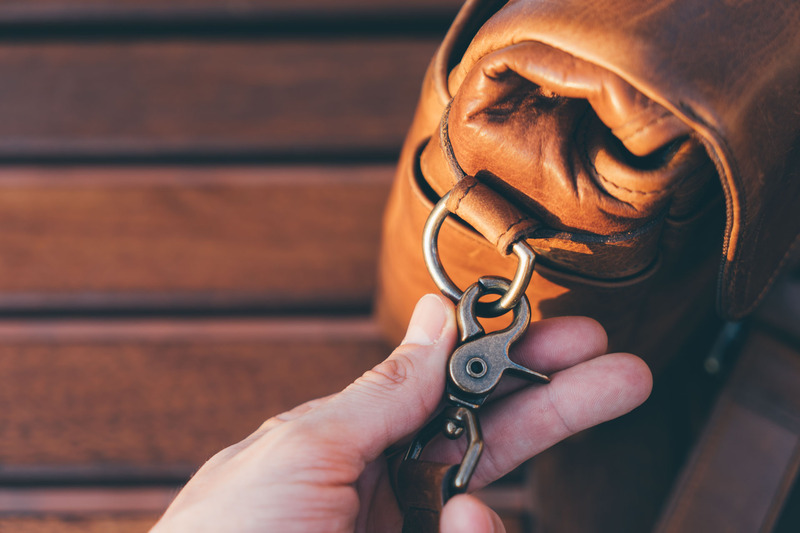 If you’re happy carrying a moderate amount of equipment and you value style but are not willing to give up function in order to get it, take a long look at the leather Bond Street. It just may turn out to be the right bag for you, too.